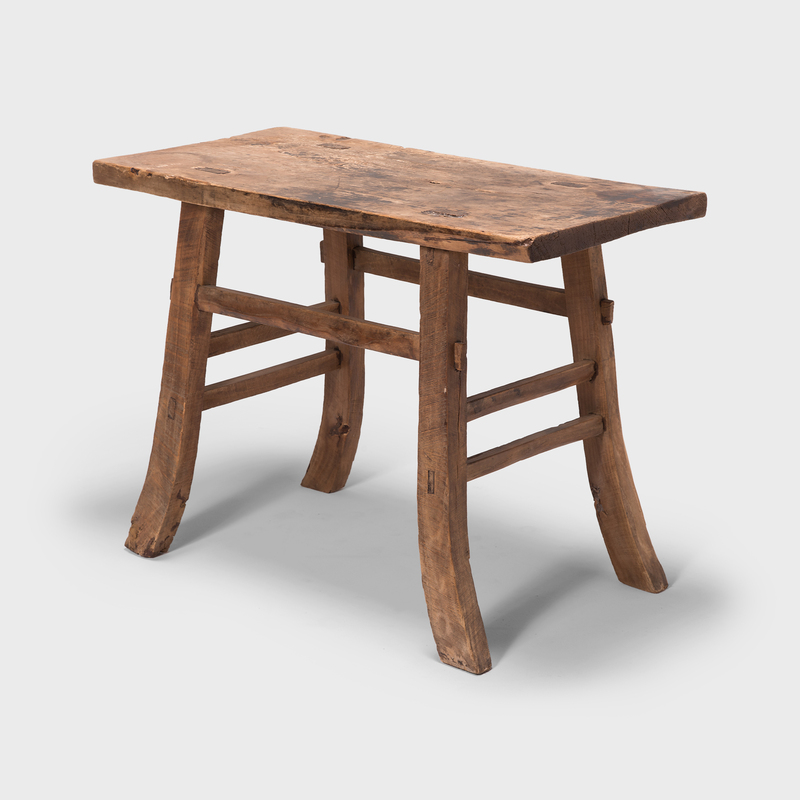 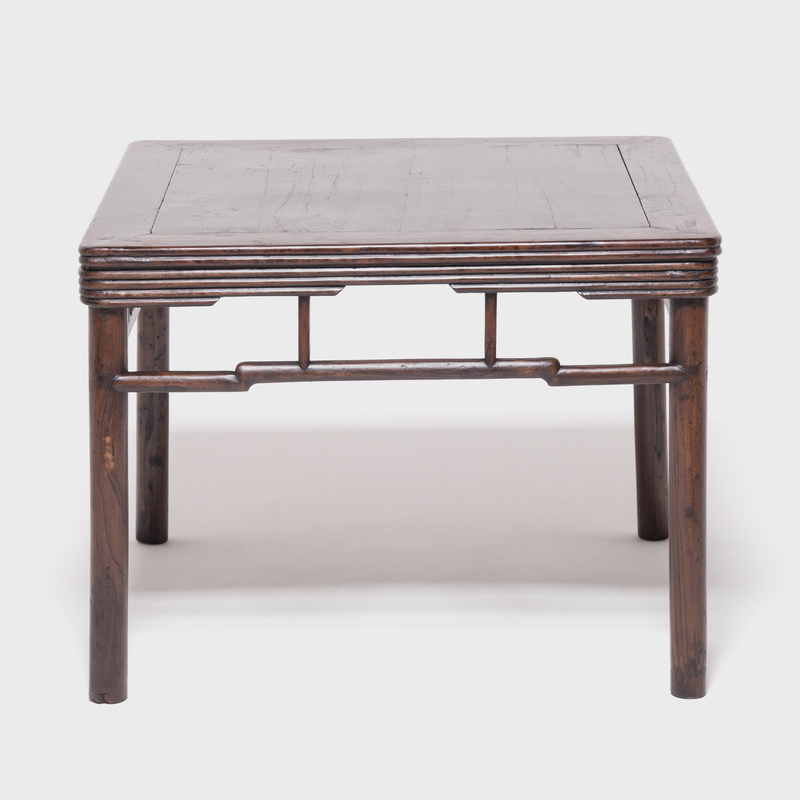 W: 40.5" D: 20.5" H: 28.75"
This early 20th-century table from China's Hebei province charms with its simple design and fantastic character. 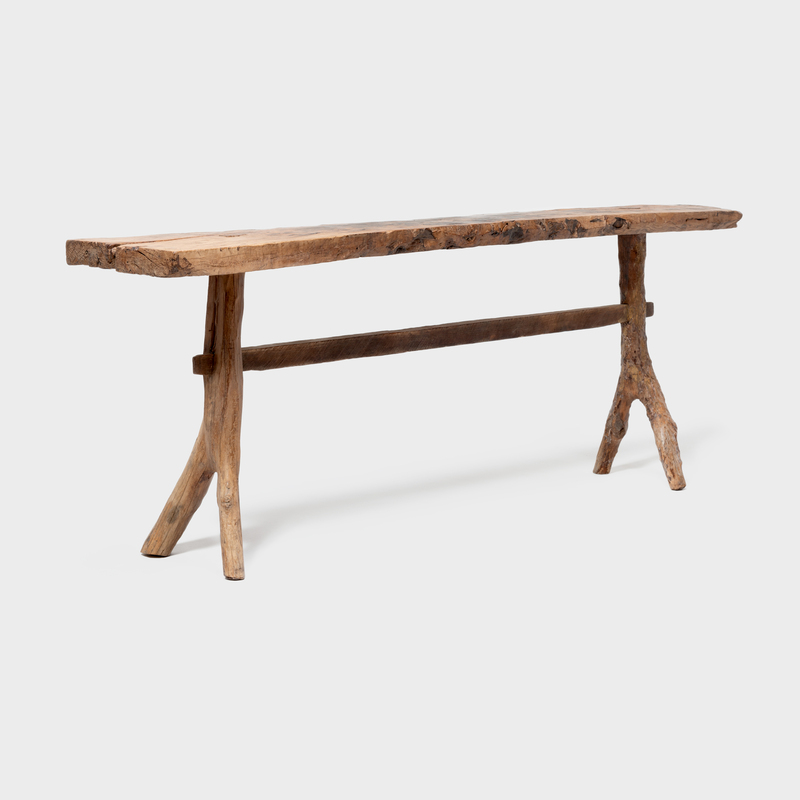 The provincial table features a plank-top surface and splayed legs linked by simple stretcher bars. 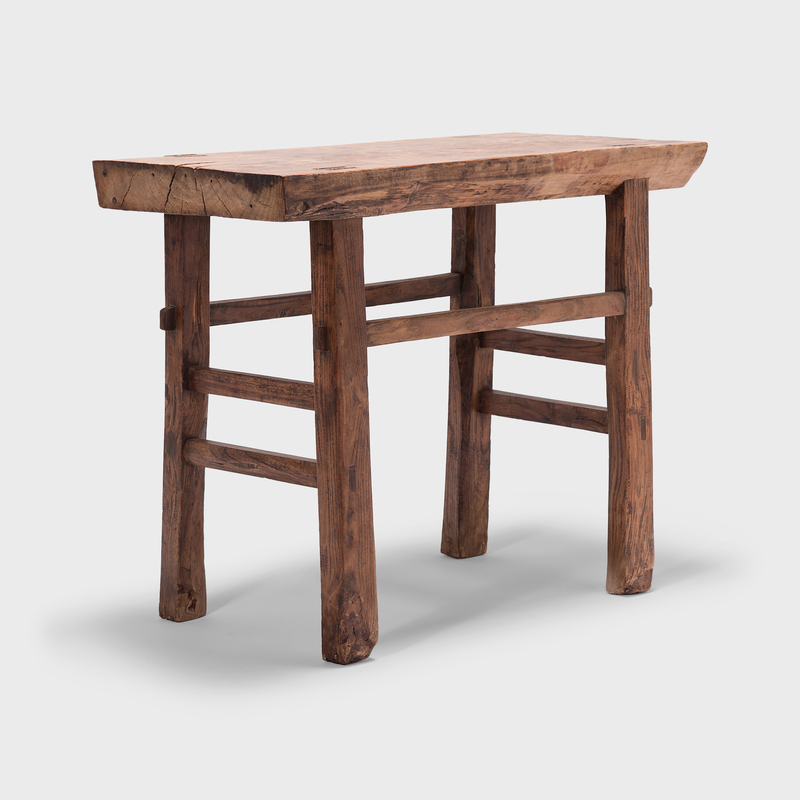 The table's bent legs resemble 八 (bā,) the Mandarin character for eight, an auspicious number symbolizing good fortune and prosperity. 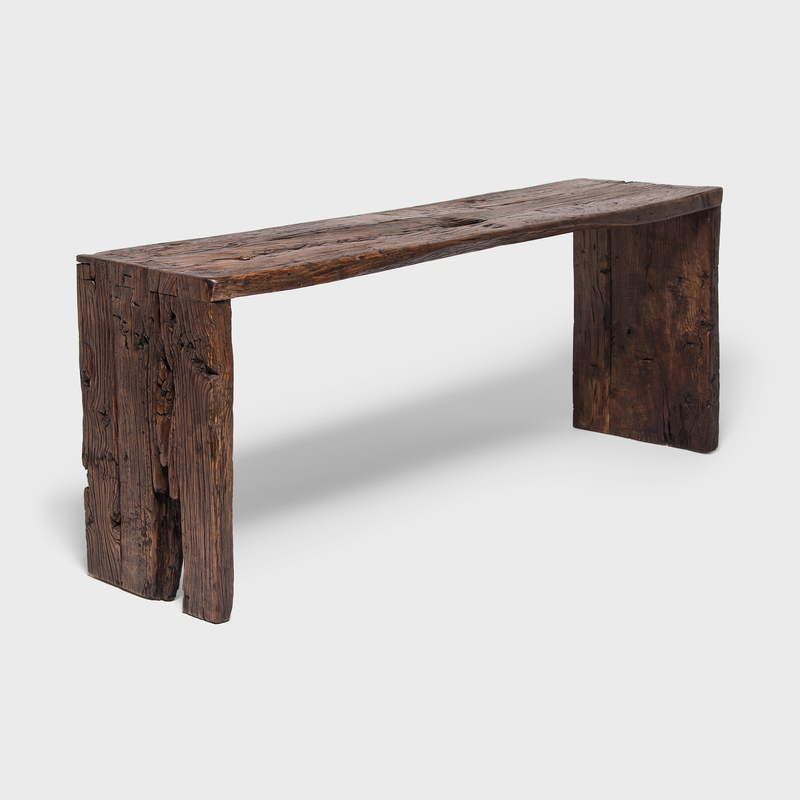 Beautifully worn from a century of use, the wood's expressive grain and rich patina are on full display, adding timeless rustic charm to the home.